I went to nursing school in San Francisco in 1941. I was going to join the U.S. Army after I graduated. 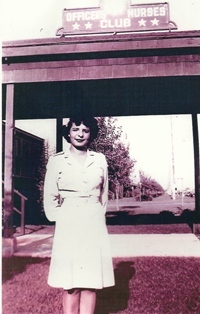 In 1943 some of us joined the U.S. Cadet Nurse Corps. I joined the Army -- to honor my brother who was killed at Anzio and also because I am proud of our country. I also wanted to show my gratitude to be living in the United States of America.